With its miles of pristine beaches, temperate climate, sunshine, and world-class attractions, it’s no wonder San Diego calls itself “America’s finest city.” In addition to her natural beauty, San Diego has a rich history starting with Point Loma-the site of the first European landings in California. West of downtown, you’ll find a charming, nautical sub-community of Point Loma called Shelter Island. Actually, it’s not a true “island.” Once upon a time, it was just a natural sandbar in San Diego Bay, visible only at low tide. Before 1953, this land did not exist. To shield and protect boats from wicked weather, storms and high waves, it was built up into dry land by dredging material from the bay in 1934. Today it provides a breakwater for hundreds of private sailboats and yachts. Whether you’re a sailor, fisherman, or landlubber, Shelter Island has a little something for everyone. Summer’s the perfect time to set sail for whale watching! Feel the calm caress of the sea breeze as you bear witness to the migration of the Blue Whales. Lording over the ocean, these gentle giants are far away, the largest animals ever to exist: four times the size of a killer whale, yet able to cruise at almost 14 mph (double that speed when threatened). Anglers can reel in a variety of fish like Halibut, Yellowtail, Albacore, and more with Shelter Island’s many offerings of sport-fishing trips. With the din of sea lions and foghorns as your soundtrack…you can take in the blue vastness and glittering skyline on foot. Take a stroll or bike ride on the many lush, walking paths. Or slip off your shoes, and kickback with a picnic along Shoreline Park. Be sure to visit the landmark, Yokohama Friendship Bell located on the most Western cul de sac of Shelter Island. 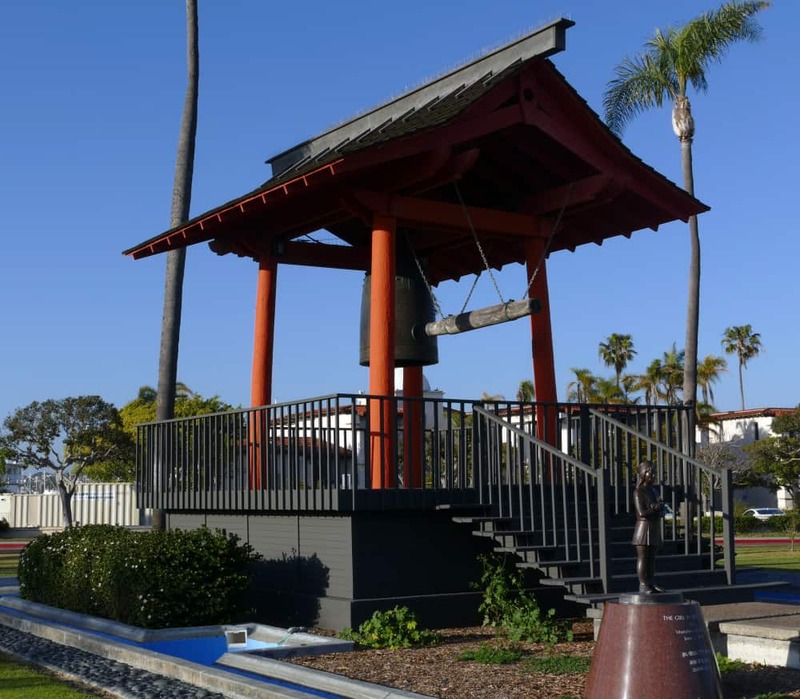 In 1958, this large bronze bell monument was gifted to San Diego by the City of Yokohama. It was a symbol of the Centennial Celebration of formal relations between Japan and the United States-the first such affiliation on the West coast. After a day on the bay, treat yourself to an awesome Mai Tai at Bali Hai Restaurant on the northern tip of Shelter Island. This Polynesian hotspot “tiki temple” is one of the largest and first of its kind on the planet!